Solid brush with a few options. 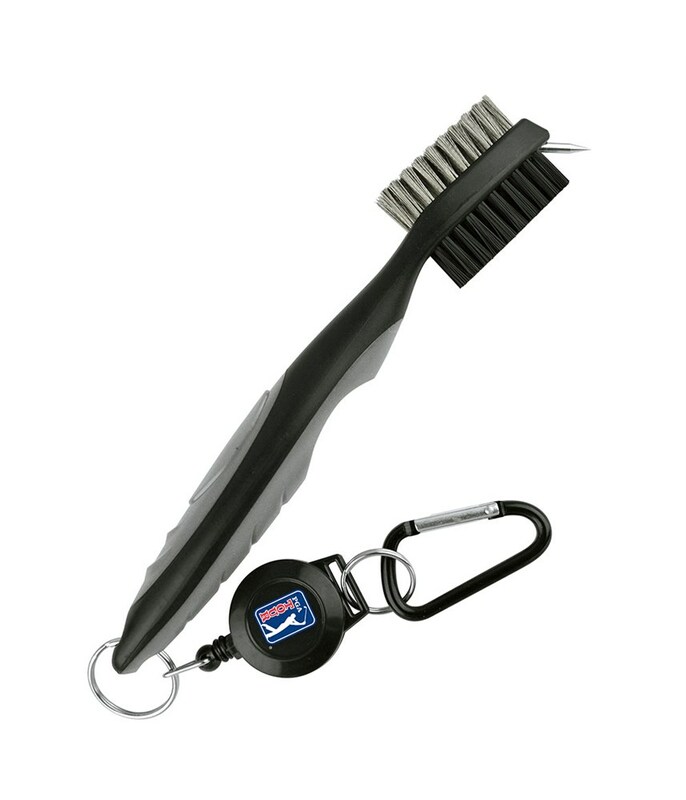 Easy to attach to the bag so that you always have it when you need it. Sometimes a damp towel doesn't get the job done. 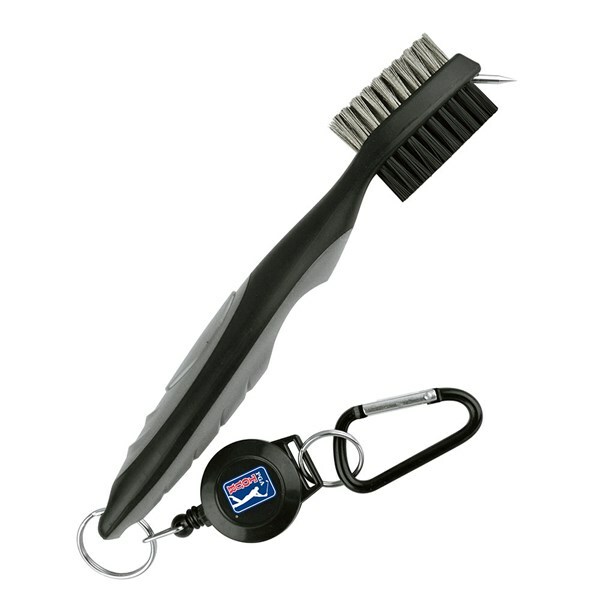 A tool like this one is handy to have in or on the bag to get dirt out of the grooves. Not much to say. It does everything it's supposed to do and the build quality seems decent. Good quality product handy to clip on to bag. Which means always there when you need it. 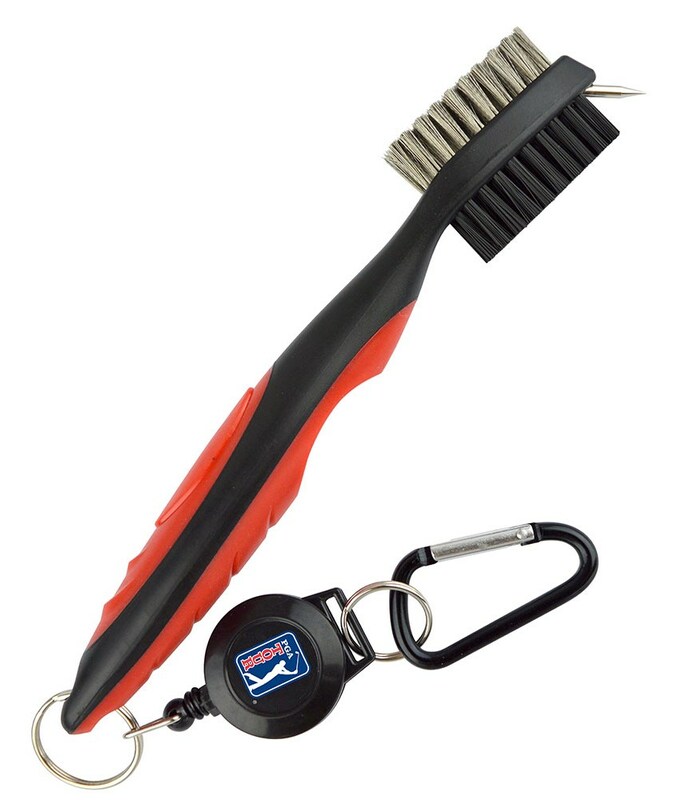 very practical retractable cable, easy fixing on the golfbag, metal brush+nylon brush+spike - all you need to keep the clubs clean, excellent choice, highly recommended! 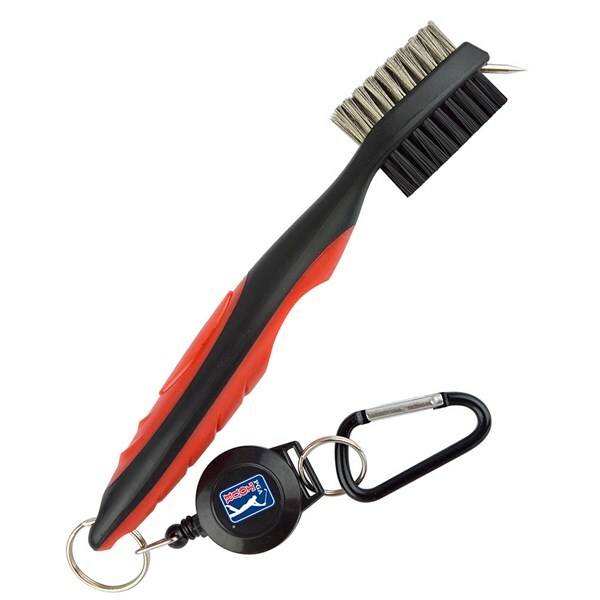 A very good product, more expensive than a standard brush but the retractable cable is very practical. Remind me of old ski pass system. 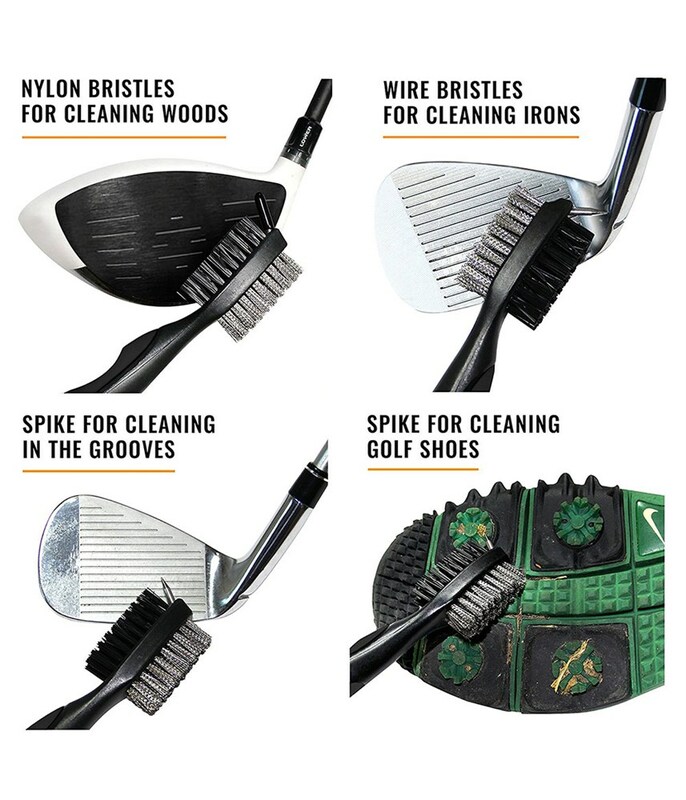 Perfect tool for keeping your clubs clean. 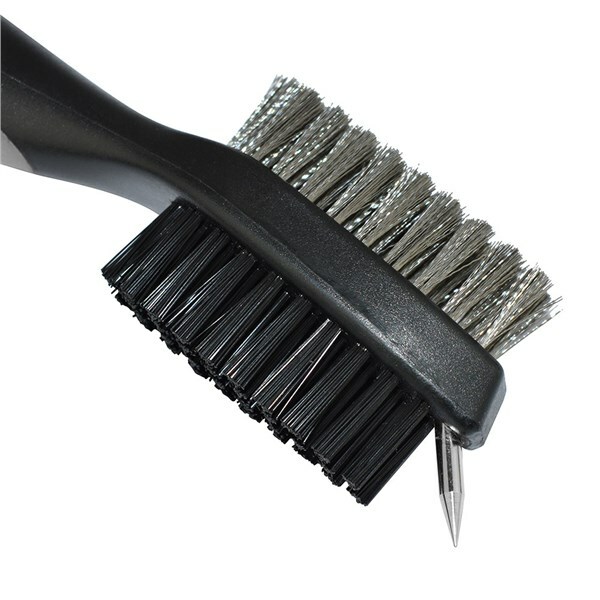 The metal brush is harder than bronze brushes on other cleaning tools so it is not so soft and doesn't loose its shape and works perfecty for much longer time. 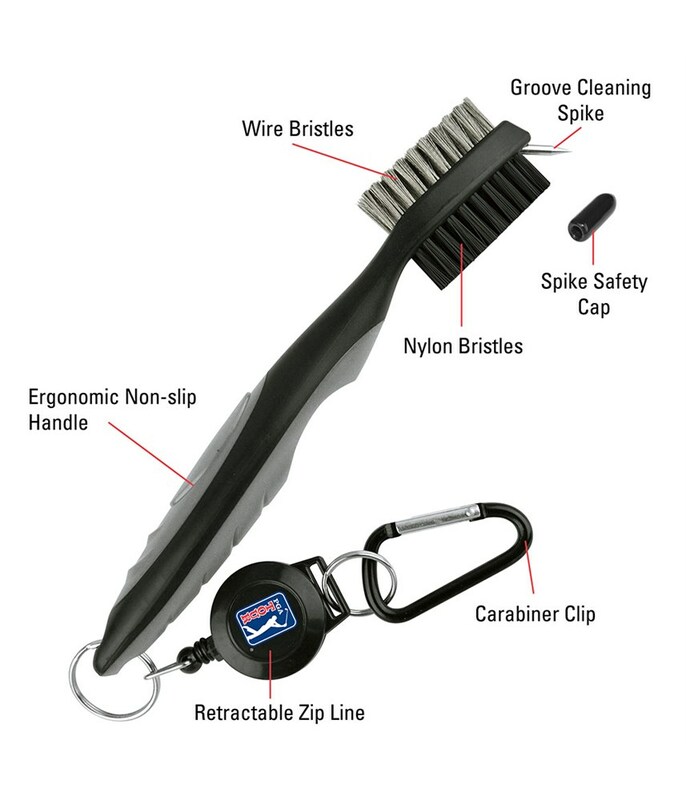 The spike is perfect for cleaning the grooves (and even for cleaning hard dirt in club grooves you forgot to clean few days ago). 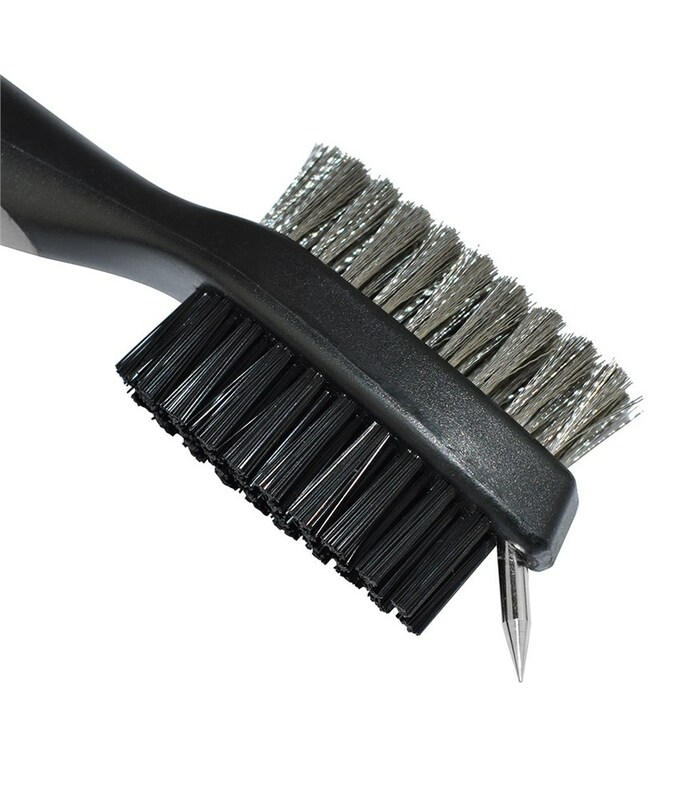 The nylon brush is ideal for cleaning your woods. 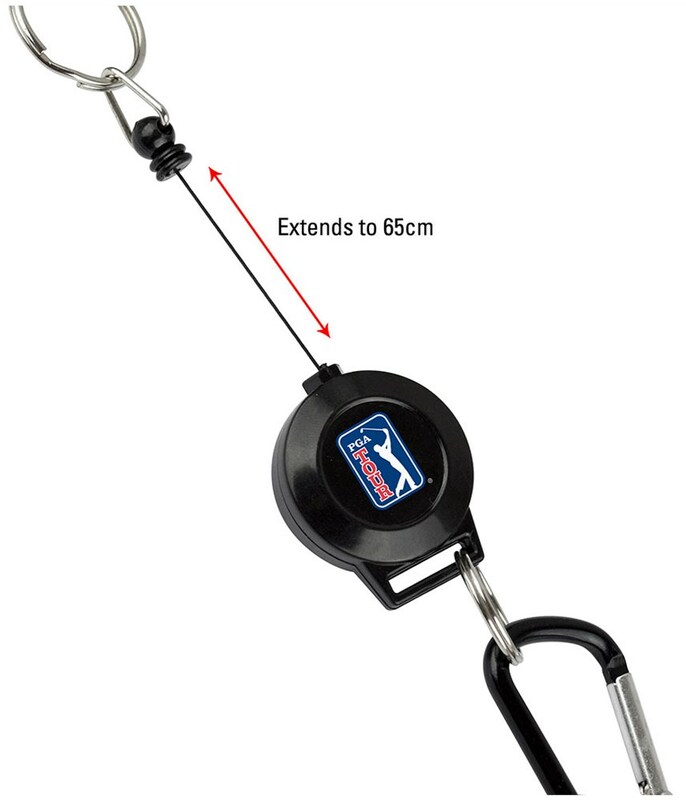 The retractable design is very handy. Totally worth the money. 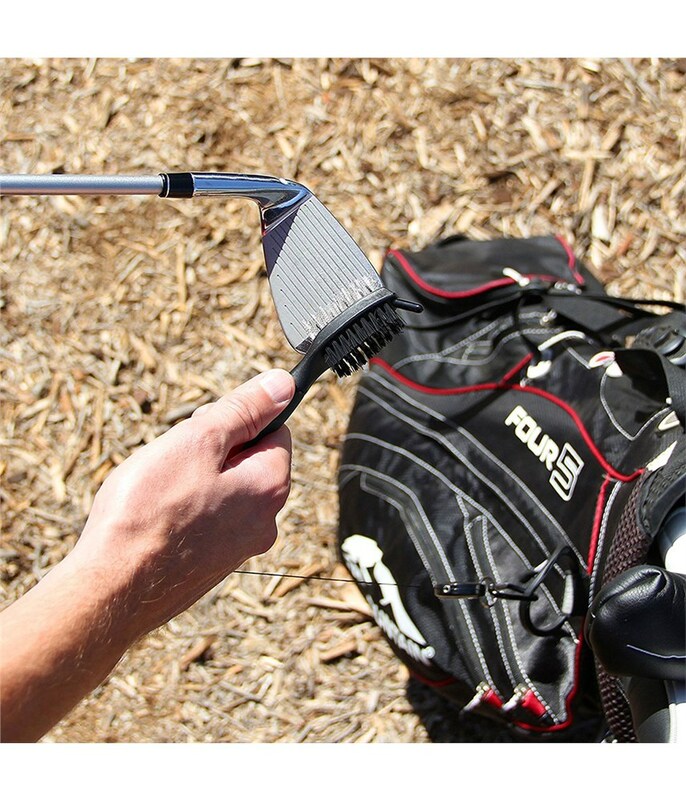 I use this product after almost every shot which creates consistency of club / ball contact throughout the round. 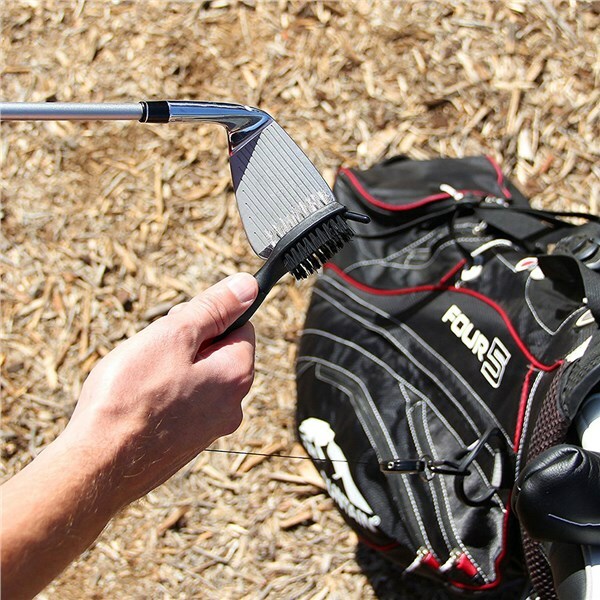 Can clean irons and woods with 1 piece of equipment! 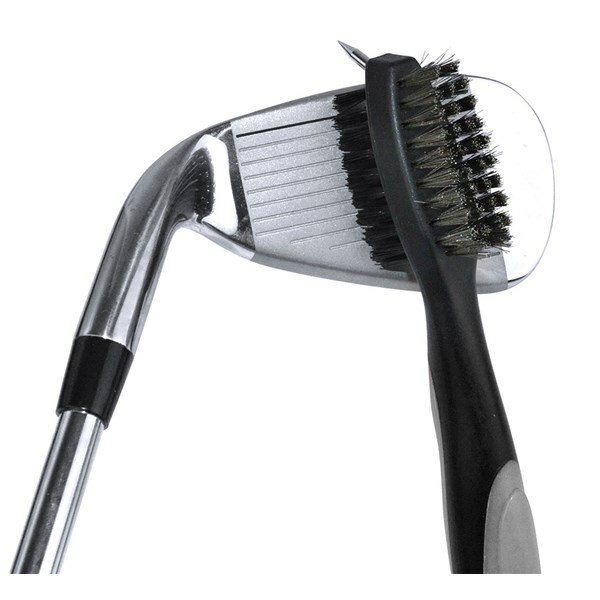 Honestly can't fault this item at all and would recommend it to anyone looking for a brush to clean irons and woods. 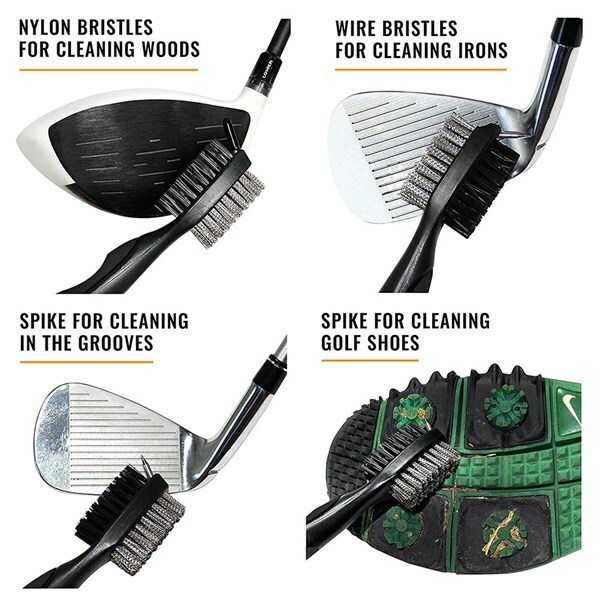 The PGA Tour Golf Club Brush Set is a reliable and convenient way of keeping your clubs clean during your round of golf. 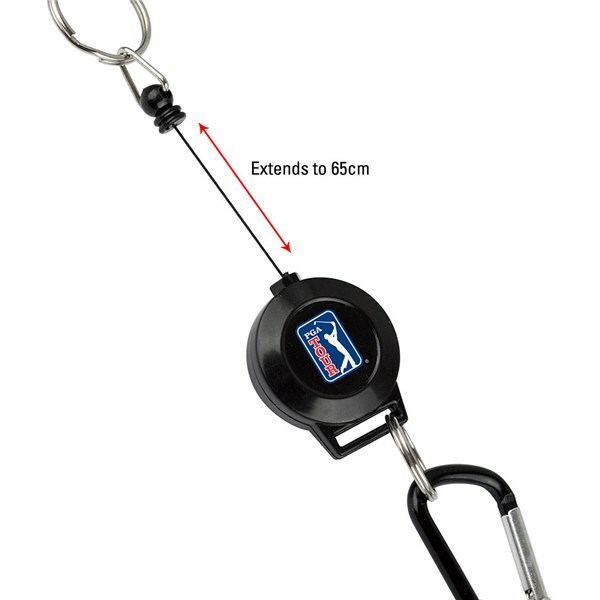 The ergonomic design features a retractable 2ft snapback cord that can easily attach to your golf bag with the attached carabiner clip. 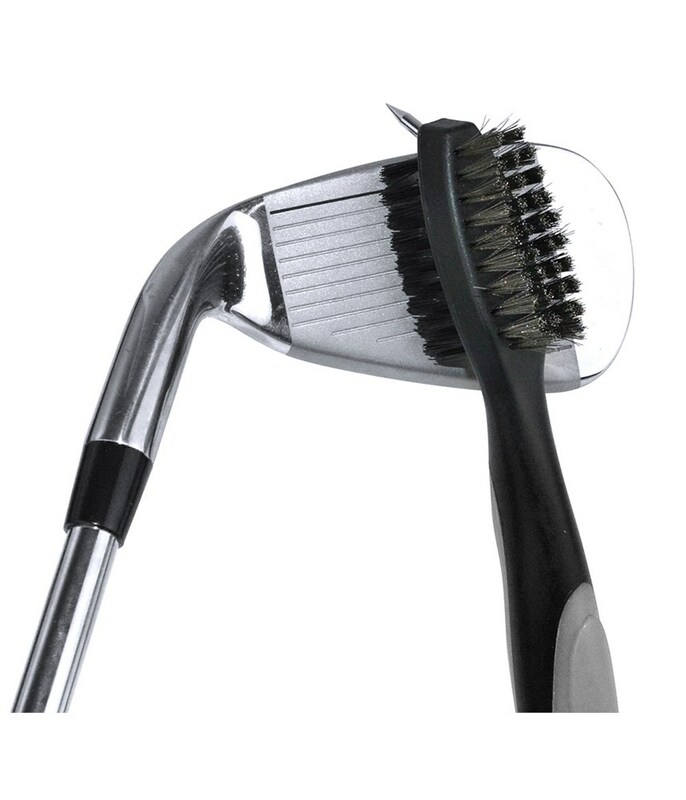 There are two sides to the brush, one side features a soft nylon bristle for cleaning woods and the wire bristle to remove hard dirt and grass from the faces of your irons and wedges. To keep those grooves as clean as possible a groove cleaning spike has been used, to protect you from stabbing yourself a safety cap does come with the spike.